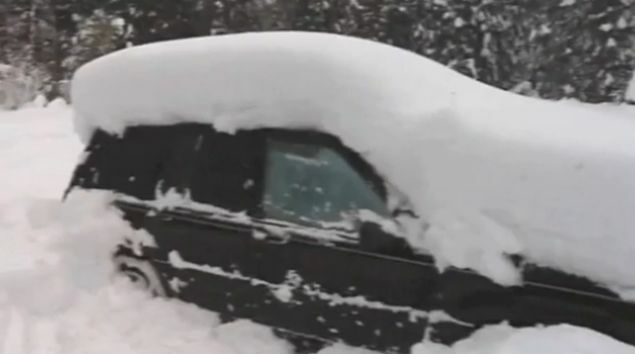 A man has been found alive trapped in a snow covered car for almost two months in the Swedish wilderness. Doctors say it is a miracle that someone could survive without food and water in temperatures as low as -30C. Rescuers were amazed to find a man in his mid-40s huddled inside in a sleeping bag "in really bad shape", starving and barely able to move or speak. Doctors at the Umea University Hospital said they would expect a person to survive without food for approximately four weeks, the Vasterbotten Courier reported. One doctor said the man might have survived so long by going into a kind of hibernation.